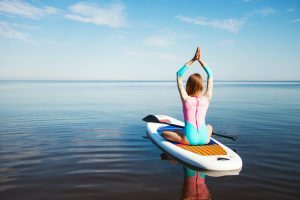 The ISLE Airtech Stand Up Paddle (SUP) is an inflatable paddle board made using Fusion-Lite Construction that makes it light and stiffer, but more durable. 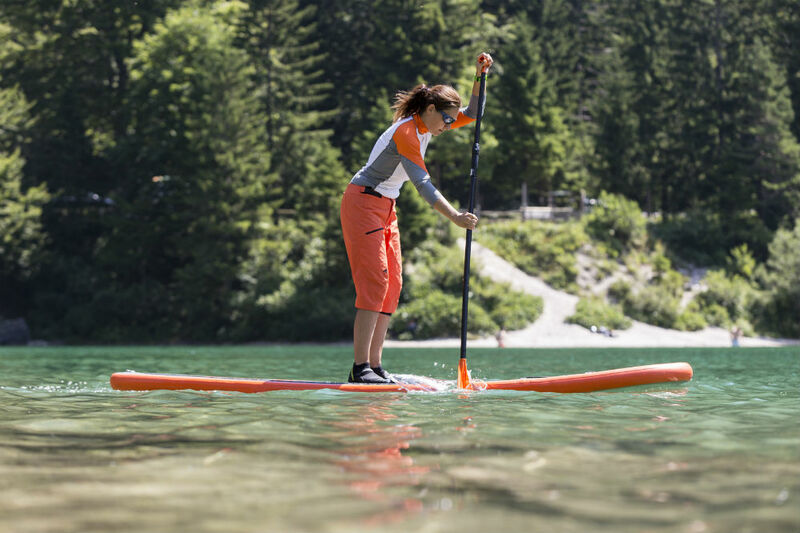 The SUP can carry up to 240 pounds which is a plus considering that it weighs only 18.6 pounds. The paddle board features an all-round design and is therefore suitable for use on flat waters, small valves and river runs. The paddle board is lighter than its counterparts due to its unique manufacturing process. It is blue in color. 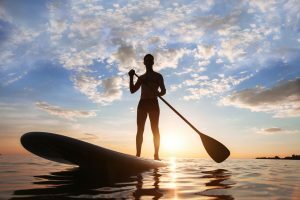 The paddle board is inflatable to achieve 10 feet by 31 inches by 6 inches when fully inflated. 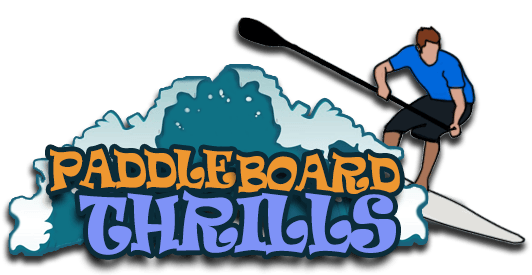 Has an all-round design which makes it suitable for uses other than racing and therefore it can be used by beginners who want to paddle for fun. It is made using military grade material that is not easily damaged. Lightweight at only 18.6 pounds. It is 10 feet long. It includes accessories such as a carry bag, adjustable travel paddle, removable fin, repair kit and high-pressure pump & gauge of up to 15 psi. Supports up to 240 pounds weight. This ISLE SUP is lightweight at only 18.6 pounds. 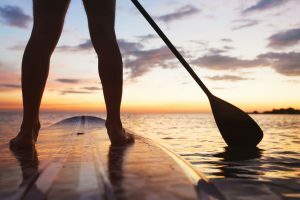 The SUP has been made using a technology that makes it lightweight and therefore it can move faster in comparison to its heavier counterparts. It is also easy to carry when you are going to the beach. As an inflatable SUP, it is easy to store and transport. If you want to paddle, you just need to fill it with air and after you are done you deflate it. It is durable. 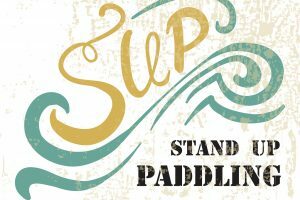 The SUP is made using high-quality material that cannot be damaged easily, even if it falls off from the vehicle or hits rocks as you paddle. This means you can use it for a long time without worrying about it being damaged. This is unlike other boards made using EPS foam. The adjustable paddle makes it possible for people with different heights to use it comfortably. You simply need to adjust the handle until it gets to your desired height. It also comes in three pieces meaning it can be subdivided for easy storage and transportation. It can support someone who is as heavy as 240 pounds which gives a wide margin because most people fall under that. This makes it adequate for most beginners though it may not be suitable for experienced riders who exceed this limit. The all-round design makes its use multipurpose, whether it is a beginner who wants to learn or a pro who just wants to have some fun in the water. The SUP comes with accessories such as a repair kit, carry bag and a pump which means you do not have to spend extra to acquire them. This ISLE SUP is not as fast and therefore not suitable for racing due to its planing design and other features such as its length, weight and width. If you are in a hurry, you may be discouraged by the pumping process, which may take a few minutes, and a bit of your energy especially when getting the last few PSI to 15. On a positive note, you can see this as a warm up to your paddling. 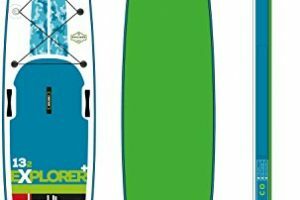 If you are a beginner or you just want to paddle for fun, then ISLE Airtech stand up paddle is the way to go. With it, you have a light companion in the water that is made with durable materials so you do not have to worry if you hit any rocks. You can deflate it when storing or carrying and inflate it when you want to paddle, which makes it convenient. It also comes with accessories that you will require such as a pump, gauge, carry bag, fin and paddle. At its price, it’s a good bargain given its qualities. 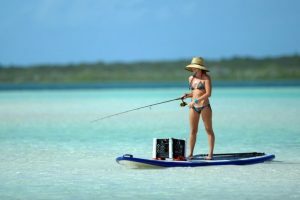 As you might have found out, there are many SUP models on the market and it is wise to compare some of these models so that you can make an informed decision. Another two products worth looking at are Red Paddle Co Sport and Ten Toes iSUP Weekender. If you need a little more action in the water, then you should look into Red Paddle Co Sport. It is durable, made of high-quality construction and can achieve a high pressure of up to 25 PSI. Although an all-round SUP, it can also be used for racing due to its speed. However, you should be prepared to spend more than almost double the ISLE. Another alternative close to the ISLE is Ten Toes iSUP Weekender that is not only cheaper but is also lighter. Although it has similar features to the ISLE, it does not come with a carry bag and you may have to spend extra for it. You may also not use an electric pump on it. 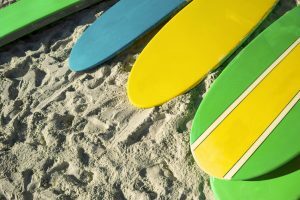 Of the three, the ISLE Airtech Stand Up Paddle Board takes the lead considering you are getting an all-round SUP with superb performance and durability at an affordable price. It is light, which guarantees speed while it maintains quality in terms of height, width and thickness. 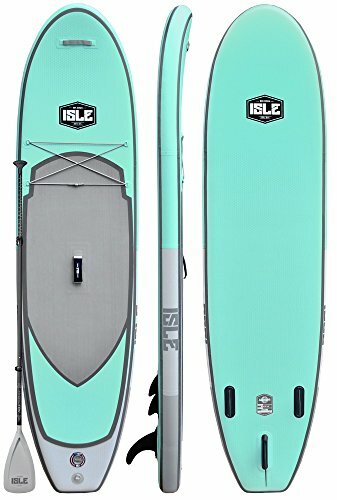 Regardless, you can’t go wrong with an ISLE inflatable sup!